" The only nasal pillow that seems comfortable to me. Great product. " 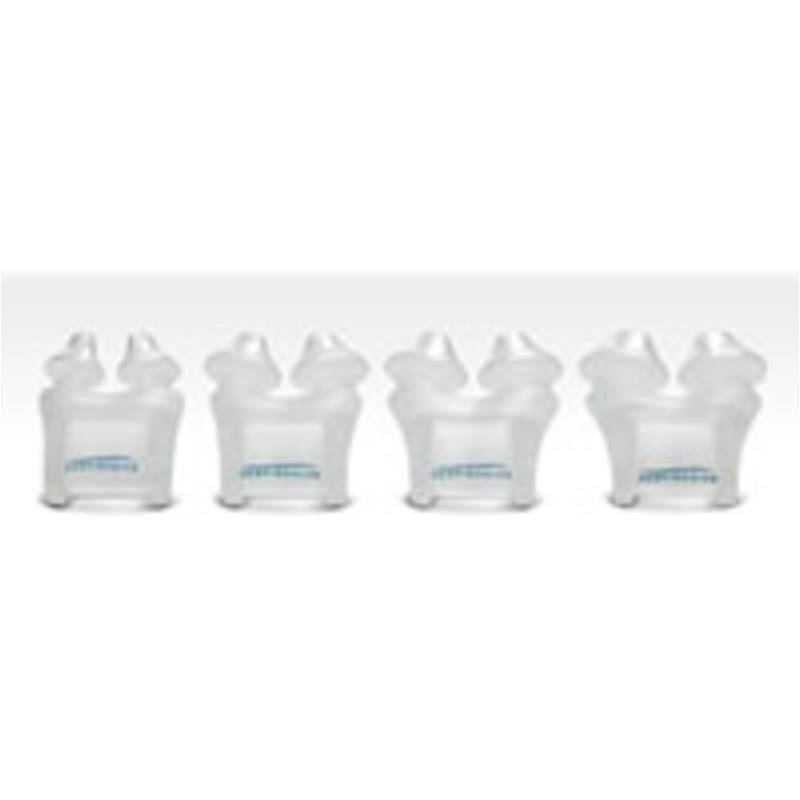 The Nasal Pillows for Optilife CPAP Mask is a single pair of nasal pillows for the Optilife Nasal Pillow Mask in the selected size. Choose desired size nasal pillows when ordering. This is one cushion only in the selected size. The picture shows all 4 sizes as an example. 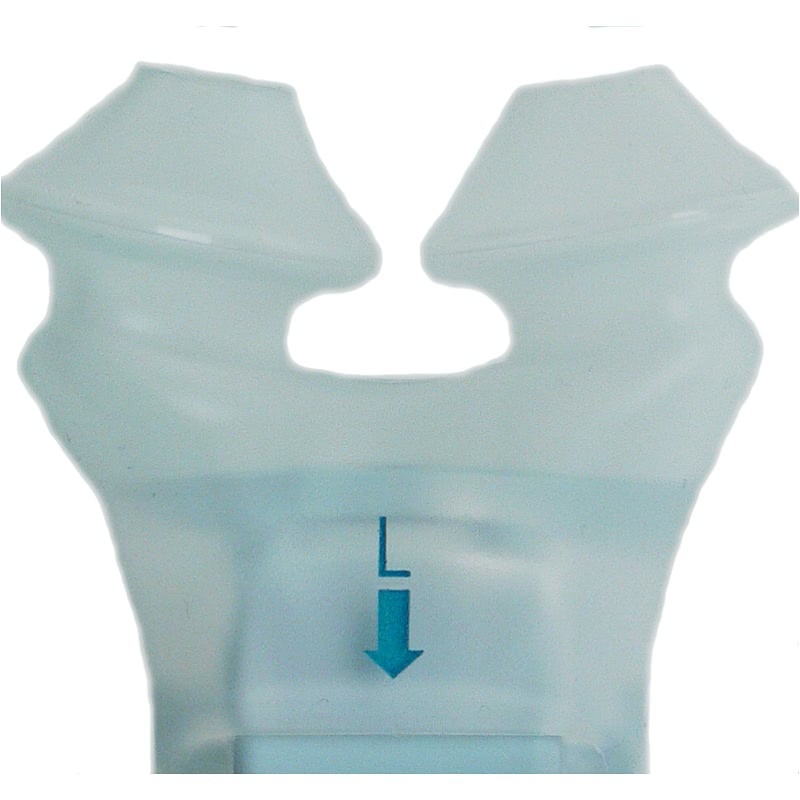 The size of the nasal pillow is indicated by a letter found on the backside of the nasal pillow. The letter is located above the arrow representing the connecting opening for the nasal pillow and the mask frame. If using a Respironics System One machine, a system one resistance control number from Respironics can be set to allow the machine to compensate for different mask types. 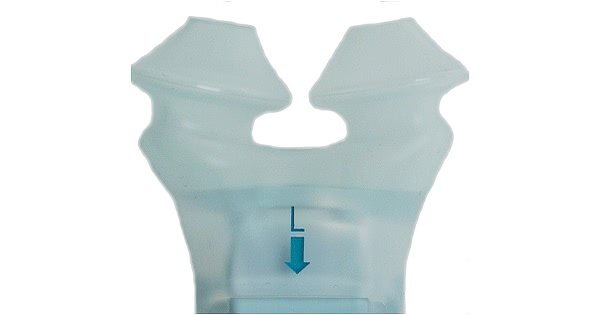 The resistance control number for the Optilife Nasal Pillow CPAP Mask varies based on the size of the cushion. Please Note: System One Resistance Control is for System One Machines only. The Optilife Nasal Pillow CPAP Mask in Petite has a System One Resistance Control number of X3. The Optilife Nasal Pillow CPAP Mask in Small has a System One Resistance Control number of X4. The Optilife Nasal Pillow CPAP Mask in Medium has a System One Resistance Control number of X2. The Optilife Nasal Pillow CPAP Mask in Large has a System One Resistance Control number of X1.